Wild: Found in small numbers within the Island’s colder regions, Chalicotherium obsideoquus is normally a peaceful herbivore that prefers to spend its days lazing about or playing with it’s family. It is very territorial, however, and the entire family, young and old, will turn against an encroaching creature at just the slightest provocation. According to the dossier, the Chalicotherium can be used as mobile artillery. It will be able to hurdle boulders, much like the catapult. 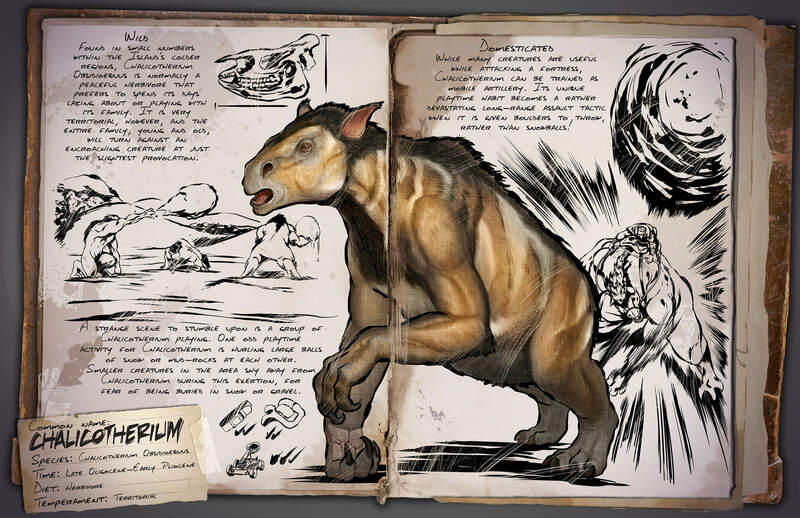 Maybe this creature will even be able to damage stone structures because of its ability, but we can only say that for certain when it is released.